Match ends, Hartlepool United 1, Rochdale 2. Second Half ends, Hartlepool United 1, Rochdale 2. Billy Paynter (Hartlepool United) wins a free kick in the defensive half. Foul by Aaron Morley (Rochdale). Foul by Billy Paynter (Hartlepool United). Corner, Hartlepool United. Conceded by Joseph Rafferty. Attempt missed. Jake Orrell (Hartlepool United) right footed shot from outside the box misses to the right. Liam Donnelly (Hartlepool United) wins a free kick in the attacking half. Foul by Oliver Rathbone (Rochdale). Goal! Hartlepool United 1, Rochdale 2. Rhys Oates (Hartlepool United) right footed shot from the centre of the box to the bottom left corner. Assisted by Jake Orrell. Foul by Scott Harrison (Hartlepool United). Nathaniel Mendez-Laing (Rochdale) wins a free kick in the defensive half. Joe Bunney (Rochdale) hits the bar with a header from very close range. Attempt blocked. Nathaniel Mendez-Laing (Rochdale) right footed shot from the centre of the box is blocked. Corner, Rochdale. Conceded by Ben Pollock. Substitution, Rochdale. Joe Bunney replaces Brian Barry-Murphy because of an injury. Substitution, Hartlepool United. Ben Pollock replaces James Martin. Corner, Rochdale. Conceded by Harly Wise. Attempt blocked. Joseph Rafferty (Rochdale) right footed shot from the centre of the box is blocked. Attempt saved. Liam Donnelly (Hartlepool United) right footed shot from outside the box is saved in the centre of the goal. Goal! 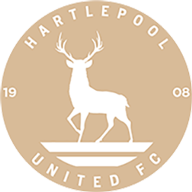 Hartlepool United 0, Rochdale 2. Matthew Gillam (Rochdale) left footed shot from the centre of the box to the centre of the goal. Assisted by Nathaniel Mendez-Laing with a cross. Attempt missed. Nathaniel Mendez-Laing (Rochdale) left footed shot from outside the box is close, but misses to the left. Billy Paynter (Hartlepool United) wins a free kick in the attacking half. Substitution, Hartlepool United. Rhys Oates replaces Nicky Deverdics. Scott Harrison (Hartlepool United) wins a free kick in the attacking half. Dangerous play by Harrison McGahey (Rochdale). Corner, Rochdale. Conceded by Brad Walker. Substitution, Rochdale. Nathaniel Mendez-Laing replaces Andrew Cannon. Attempt missed. Reuben Noble-Lazarus (Rochdale) left footed shot from outside the box misses to the right. Substitution, Rochdale. Brian Barry-Murphy replaces Joe Thompson. James Martin (Hartlepool United) wins a free kick in the defensive half. Foul by Matthew Gillam (Rochdale). Attempt missed. Reuben Noble-Lazarus (Rochdale) right footed shot from the left side of the box is close, but misses to the right. Second Half begins Hartlepool United 0, Rochdale 1. Substitution, Hartlepool United. Harly Wise replaces Matthew Bates. First Half ends, Hartlepool United 0, Rochdale 1. Attempt missed. Andrew Cannon (Rochdale) left footed shot from the centre of the box misses to the left. Corner, Rochdale. Conceded by Matthew Bates. Attempt blocked. Matthew Gillam (Rochdale) left footed shot from the right side of the box is blocked. Liam Donnelly (Hartlepool United) wins a free kick in the defensive half. Foul by Andrew Cannon (Rochdale). Attempt missed. Andrew Cannon (Rochdale) left footed shot from the centre of the box is close, but misses to the right. Attempt missed. Brad Walker (Hartlepool United) right footed shot from outside the box misses to the left. Nicky Deverdics (Hartlepool United) wins a free kick on the right wing. James Martin (Hartlepool United) wins a free kick on the right wing. Attempt saved. 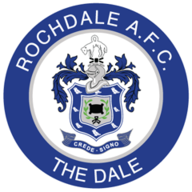 Oliver Rathbone (Rochdale) right footed shot from the left side of the box is saved in the top centre of the goal. Liam Donnelly (Hartlepool United) is shown the yellow card for a bad foul. Foul by Liam Donnelly (Hartlepool United). Joe Thompson (Rochdale) wins a free kick in the attacking half. Attempt missed. Matthew Gillam (Rochdale) right footed shot from the centre of the box is high and wide to the left. Corner, Rochdale. Conceded by James Martin. Goal! Hartlepool United 0, Rochdale 1. Reuben Noble-Lazarus (Rochdale) left footed shot from the centre of the box to the bottom left corner. Assisted by Aaron Morley. Corner, Hartlepool United. Conceded by Jimmy McNulty. Attempt missed. Matthew Gillam (Rochdale) header from the centre of the box is close, but misses to the right. Corner, Rochdale. Conceded by Jordan Richards.